Has Mustafar frozen over? 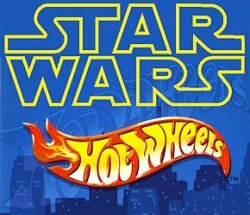 Sponsor Entertainment Earth posted two assortments - Hot Wheels Star Wars cars and Track Sets - with no pictures as of yet, but a September release date. Mattel's first step into a larger world should prove exciting, as they have made die-cast metal vehicles from numerous licenses in many forms. For example, there are Star Trek Hot Wheels cars which are just normal cars with Spock painted on the side, as well as a small $1 Enterprise with a display stand similar to Titanium Series. What will Mattel make for us? Well, we're going to have to wait and see!